Ever wish you could look under the hood and see how other successful eCommerce businesses are finding growth? We know that running a small or medium business can be lonely and overwhelming, so we invested in a massive study to bring you insights from 573 product-focused eCommerce businesses all over the world. Our survey, led by Golfdale Consulting, honed in on business practices and growth drivers. SMBs — making under US$1M — rely primarily on word of mouth and online sales, but even the big businesses over US$5M rely heavily on WOM. They also view social media selling having the most social impact on business. Tough competition is the #1 threat to business growth, but the #2 barrier to growth is more easy to overcome. Want to dive into the full results to learn what drives growth across 573 product-focused eCommerce businesses? Let’s dive into the survey highlights. Our study identified the top 12 barriers to growth–things business owners feel are holding them back. Some of these are impossible to fix. Tough competition? Get used to it and let it push you. Other barriers to growth can–and should–be overcome easily. Insufficient time is #2. That’s huge, and it seems obvious–if your time is being spent on non-growth activities, your growth will suffer and your competition could take advantage. Businesses under $1M spend over 90 HOURS on inventory management, product sourcing, and managing purchase and sales orders every month. So the challenge then is to find a sweet spot to reduce the amount of time wasted in operations quickly and easily. Write down how much time you currently spend on product sourcing, managing inventory, sales orders and purchase orders in a given month. Next to that number, write down how much you pay yourself per hour or how much per hour you consider your time is worth or the time value of the people in these roles at your company. Next, do some simple calculations. What is your DIY solution currently costing you per month when you multiply one number by the other? What if you could reduce that time and expense by 10%? How about by 25%, or even 50%? Now, start to consider what other options are out there to help you spend your time, and your money, more wisely. If you could invest $10 for $10 worth of time in a solution that scales, do it. The result will be that you can focus the saved time on growth activities. There are only so many hours in the day. Business owners know they cannot “scale” themselves to build and meet demand. Small businesses that grow successfully make careful investments in relying on others to tell their story as passionately as they do. They start mastering more complexity in their sales operations, like taking on professional salespeople and opening multiple sales channels including wholesalers, distributors, online marketplaces and pop-up stores. Operations, inventory, and tech savviness all go hand-in-hand. After all, the largest part of eCommerce operations is managing inventory, and the only way to get out of the weeds of manual processes and “Spreadsheet Olympics” is with the help of technology. Businesses that want to save time need to stop competing in the ‘Spreadsheet Olympics.’ When you start adding up all the time spent creating and filling out home-grown solutions to the accounting, inventory, customer and sales management challenges that small businesses have, you can see why many [or some] small businesses fail to thrive.”––Cameron Priest, CEO, TradeGecko. Inventory management is the key lever to focus on, because it’s a time-sucking problem that can be solved with non-technical, plug-and-play solutions practically overnight. Almost ⅔ of businesses with revenues over US$1M claim they have inventory frustrations. These frustrations grow as companies grow. SMBs like yours typically fall back on Excel and Google spreadsheets to tackle inventory management and that becomes a big mistake. The #1 consequence in the words of small business owners? Lost time and productivity. Do you know how much time businesses under $1M spend on inventory management, product sourcing, managing purchase & sales orders? We’ll discuss the full survey results in our upcoming webinar. But efficiency isn’t all you can get out of better inventory management, as we see in the next insight. Customers want what they can’t have. By creating Fear Of Missing Out, you pull a powerful psychological lever. You can walk a fine (and profitable) line by creating fear that you’ll run out of a product while never actually doing so. FOMO is a cultural trope that we hear in songs, watch in movies, and witness in real-life. It’s also a principle based on decades of psychological research. Why? Because we’re excited about the thrill of the chase. Because we’re attracted to the unknown and the unpredictable. We look for validation. We want to fulfill a fantasy. We want to prove to ourselves and others that we “deserve” to have them. It also makes sense economically. When a product is limited in availability (or perceived as being limited), it becomes more attractive. It can also drive up the price. To beat out your toughest competitors, you’ve got to set yourself apart. You can do that through the principle of scarcity. Alluding to product scarcity is highly effective in creating urgency. Especially if shoppers are on the fence about buying from you vs. your competitor. The5TH has generated an incredible amount of demand for their Australian-made watches through scarcity. Before launching The5TH in 2014, founder Alex McBride had already garnered over 70,000 followers on Instagram. 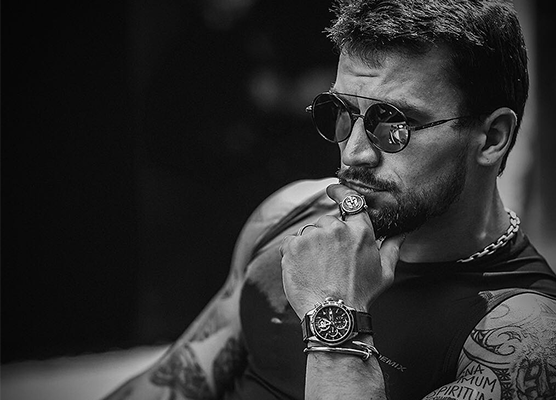 He had built a community that was eagerly awaiting the chance to score one of the first limited edition watches up for sale. As it turns out, anticipation is the mother of demand. The5TH sold $100,000+ worth of watches that first day. Now, they operate on a business model that makes customers take notice. How? 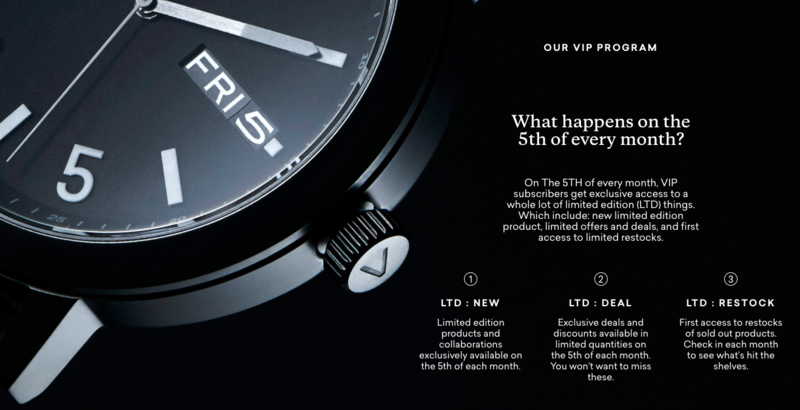 The5TH only sells watches on the 5th of every month, only for 5 days. SMBs may think of stockouts as unique to them, but large businesses face similar challenges. Researchers have also observed that a stockout on an individual item impacts the customer’s likelihood to purchase additional items as part of the same transaction. Running out of stock can increase the probability of customers canceling other items in that same order. It kills the customer experience. This also increases likelihood of shopping at competitor stores. Leverage your data to forecast demand and better walk that fine line of in stock but in demand. Check out The Ultimate Guide to Becoming a Data Informed Merchant here. A sold-out item doesn’t always have to mean a lost customer. If you’re experiencing this, get ahead of the fire and set up an email alert for interested buyers once the product is back in stock. That way, when people see unavailability, there’s an incentive to keep them on the page and you get to build your email list further. Also consider allowing pre-orders. This can set future expectations with your customer, like Apple does all the time. On your product page, visually show shoppers how much of an item is available. This will help them acknowledge that it’s in short supply. Doing this creates the illusion that your product is highly valued by others. If something’s about to run out, there’s a huge incentive for shoppers to get it now. This will convert your browsers into buyers. 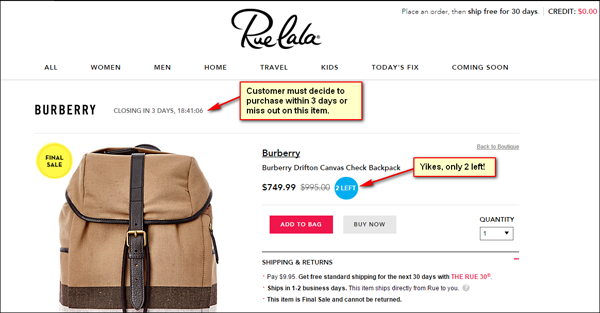 If a sellout occurs, remove the product listing immediately to prevent creating frustration for other customers. You can also highlight missed opportunities using prompts. Booking.com implements a great deal of FOMO marketing on their website. They do this by highlighting the number of rooms and spaces left. “Window shoppers” rush to buy so they don’t miss out. However be careful using false urgency or scarcity on your site. If shoppers find out, they’ll run off to your competitors. That’s not what we want. Fortunately, there are automated, user-friendly solutions to inventory management that can save the day. Your stock on each item can be automatically displayed on your store pages, and by careful monitoring you can walk the fine line between scarcity and maintaining stock to push the needle on sales consistently over time. Have excess inventory and obsolete stock? This can be costly for eCommerce retailers like you. But there’s a sweet spot in between that can drive sales and keep costs and risks low. By identifying consumer demand trends by category, segment, and sub-segment. By knowing your customer well through business intelligence and insights. The soul that sees beauty shall not walk alone." This is what Philippe V believes in. 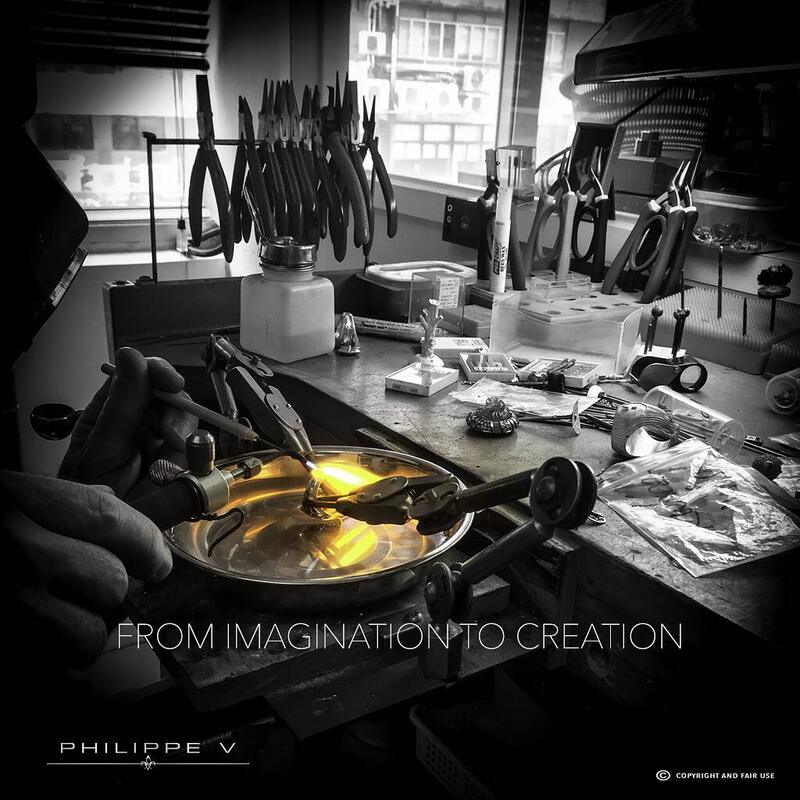 Philippe Vergez and Thierry Halbroth created the luxury eyewear, jewelry and accessories brand in response to a collective consumer desire for individualism in an increasingly homogenized world. Vergez and Halbroth’s vision for the business from day one was to be a disruptive brand that encourages individuality through stylish pieces hand-crafted using traditional methods. The pair designed a line of high-end eyewear and accessories drawing on rock ’n’ roll and rebellious iconography – like the skull and the Fleur de Lys – designed for the 21st century. I want to appeal to people with a rock attitude, who embrace this spirit of being different and want to make their mark in the world by being different. Everyone today tries to put a brand in a box, but I refuse to do this,” said Vergez. Their design and marketing copy are consistently rooted in the brand’s core idea. Again (this is powerful) our survey shows that SMBs rely primarily on word of mouth referrals. Word spreads fast about a standout brand and an awesome brand experience. Also, we humans are a species joined together in groups by nature. “They have an innate tendency to favor their own group over others,” according to sociologist William Sumner. Your store and your product descriptions have to fit in with the group you’re marketing to. You need to walk, talk, and act like your target demographic. Because people want to feel like they’re part of a tribe or an exclusive group. And if you’re aiming for a larger reach, a strong brand will attract wholesalers, distributors and independent sales people to carry and sell your products. We’re not saying to do a complete rebrand. Instead, infuse your brand’s personality and voice in your About Us page and product copy. There’s one overarching key to this: Know who you’re writing for. Understand your ideal customer. Write magnetic headlines and killer product descriptions by storytelling. Focus on benefits over features. Paint a picture of how the shopper’s life will be different or even better if they take the desire action (aka make a purchase). A local creative copywriter can help. Remember, narratives do more than just entertain us; they move us emotionally. Emotions are what drives basic human actions. Don’t believe us? Take a look at Death Wish Coffee. They understand what it means to have a well-defined brand. 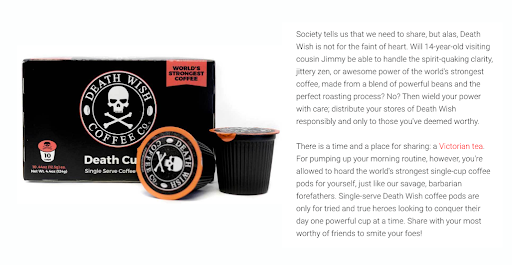 In 2012, while established coffee distributors focused on flavors — like blondes and pumpkin spice, Death Wish Coffee went to the extreme end of the market to boast their caffeine strength. And they went all the way — from the brand name, the skull and bones logo, their brand story, social media posts and product descriptions. Death Wish Coffee burst into the national scene with a Super Bowl ad in 2016. They started selling on their website and Amazon. Since then, and through impressive competition wins, they’ve attracted a strong and loyal following. Now Death Wish Coffee can be also be found on Walmart’s and Sam’s Club shelves, as well as regional supermarket chains. Needless to say, they’re doing quite well. It would’ve been an uphill battle for them if it weren’t for their focus on details, like strong brand copy. Customers appreciate it when businesses demonstrate an intimate understanding of their needs. Are you clearly solving their problem? Do you have your product descriptions for each product saved along with all of the other product details, for easy reference and updating? More important, can your inventory management system effortlessly track your stock right down to individual variants of every product (color, size, etc.)? To learn more about how eCommerce businesses around the world approach growth, sign up for our upcoming webinar that dives into the full study of 573 product-focused businesses. For recommendations on a new restaurant, vacation spot or a gift to buy a loved one, we turn to family, friends and coworkers. The most credible form of advertising comes straight from the people we know and trust, according to Nielsen. Instead of advertising directly to consumers, brands get their customers to speak on their behalf. Social currency - People talk about things that make them look good. If people learn about a great product and tell others about it, this act gives them status. Triggers - These are environmental reminders. They shape the choices we make, the things we talk about, and the products we buy. Playing French music in the grocery store can trigger people to buy French cheese and wine. One way to push social currency is by showing social proof. An action or purchase is less risky when others are doing it. 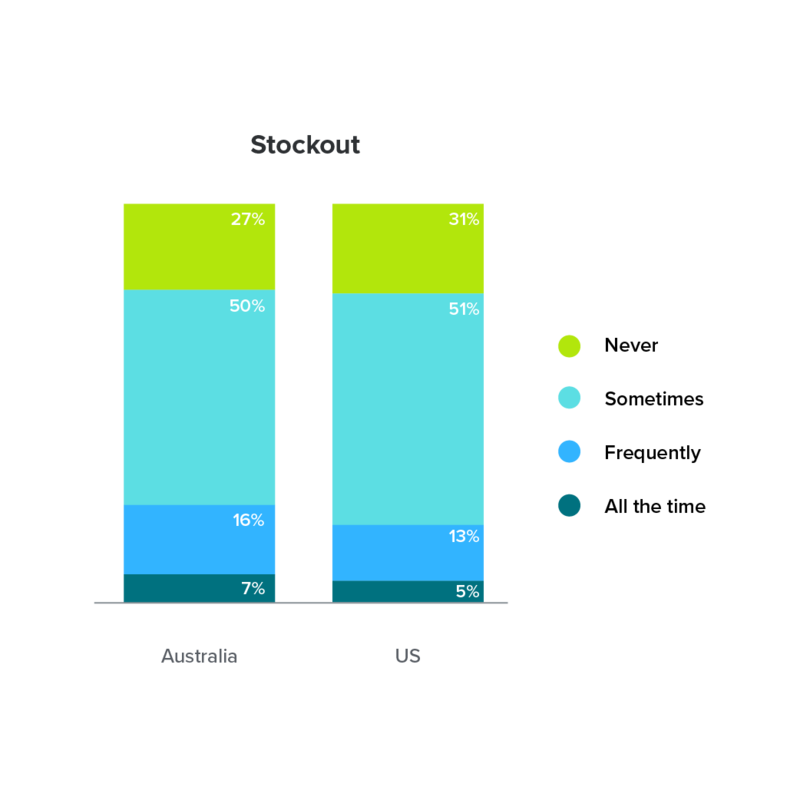 Our survey shows that businesses making under US$1M rely heavily on direct selling via word of mouth, and it’s important even for those over $5M. 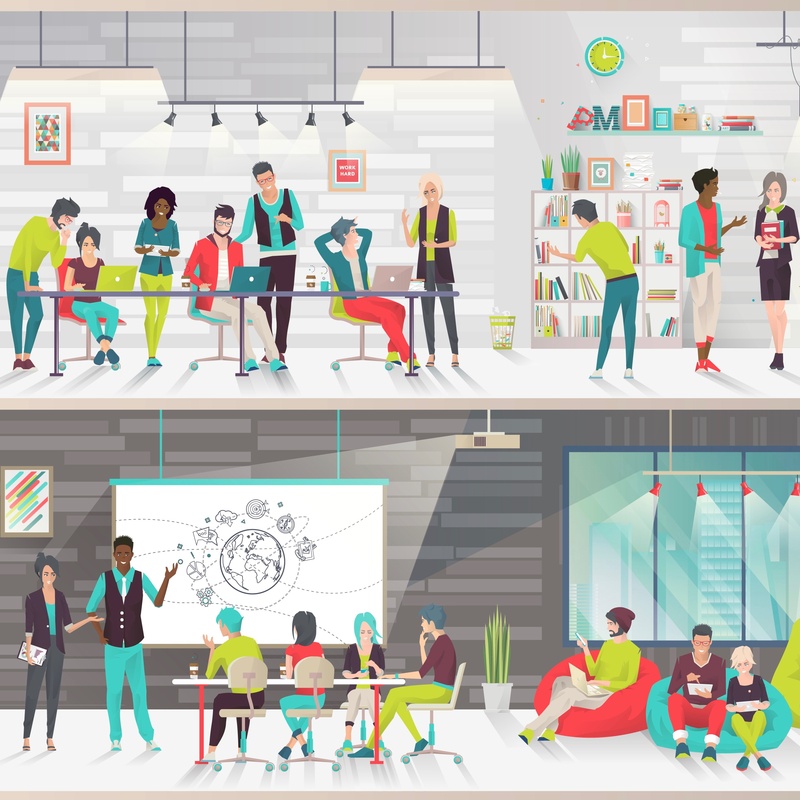 User feedback and online research, along with WOM, are the most prevalent forms of industry learning. We also learned from our survey that social media platforms and mobile app tech are viewed as having the most social impact on SMBs. Your biggest marketing and advertising asset is your existing customers. So create experiences that customers want to shout from the rooftops. Display ratings, reviews and testimonials on your website and product pages. Rent the Runway does a great job with this. 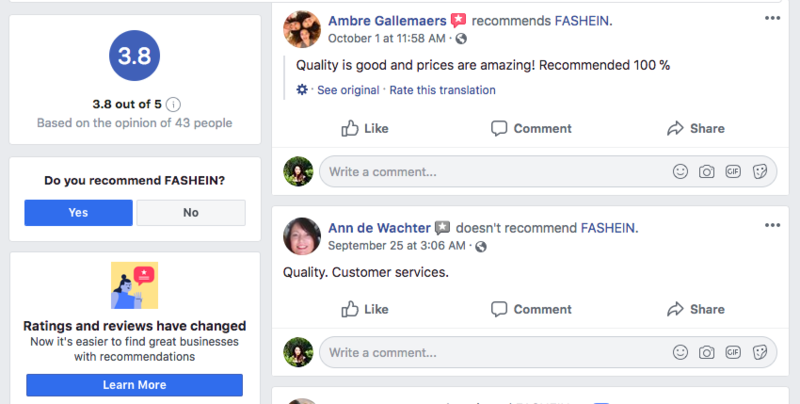 Encourage customers to leave a good rating on your Facebook Page. You can do this in-person, by reaching out to your repeat customers via email, adding a prompt to your surveys, offering incentives, holding a contest, or spotlighting customers who leave reviews. According to our study, Facebook is the #1 site for social for most small businesses (over 70%), followed by Instagram (over 40%). Also, you can integrate TrustPilot reviews into your Facebook Page. 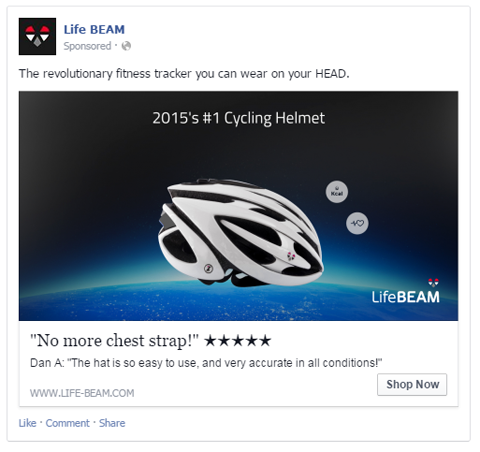 You can even leverage reviews as Facebook ads, as Life BEAM did. If you have influencers and celebrities who’ve used your product, show it off! BedHead Pajamas leveraged their time in the spotlight when the Kardashians & Jenners were photographed wearing their products. They also feature other celebrity posts on their Instagram by re-gramming and re-posting them on their blog. You’ve probably heard of or started to be involved in Influencer Marketing. Our massive study showed how companies like yours are using social media and which platforms they believe in. We’ll dive into the full study in our upcoming webinar, which you can join by signing up here. 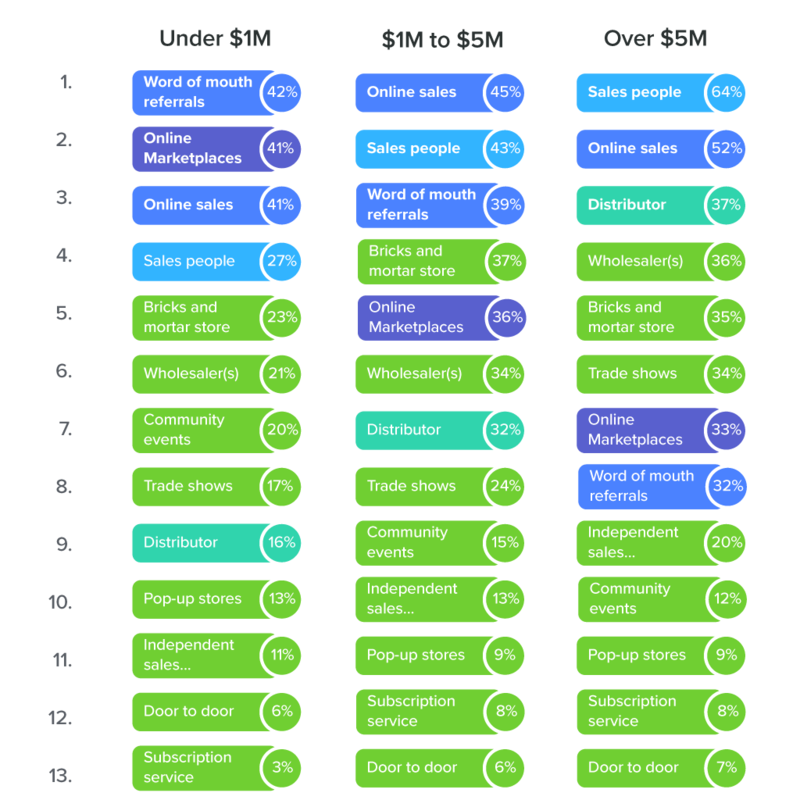 We learned a great many things when we peeked inside the business practices of over 500 product-focused eCommerce SMBs. We learned that they experience inventory management frustrations that build up the second largest barrier to growth. These frustrations grow as their business grows. Insufficient time is the #1 growth impediment for many businesses who make under US$1M. And if you’re unable to keep up with the demands that your business operations places on your time, energy, and finances, it will be even harder to move past the US$1M revenue stream. But growth is also stalled because we resist change. So businesses like yours typically fall back on what’s familiar, like DIY Excel and Google Sheets, to tackle inventory management. This is a huge time and productivity waster. Businesses that want to save time need to stop competing in the ‘Spreadsheet Olympics.’ - Cameron Priest, CEO, TradeGecko. If you this sounds like you, join our upcoming free webinar. We’ll discuss how to manage growth and tackle new challenges to help you build a stable, growing business. Control your inventory, orders and manufacturing workflows, all in one place with TradeGecko.